Your 12-month membership subscription will renew automatically and $59.99 + applicable tax will be deducted from your PlayStation Network (“PSN”) account wallet every 12 months until you cancel. If your wallet has insufficient funds, your PSN account’s default payment method will be charged. To cancel, go to [Settings]>[Account Management]>[Account Info]>[PlayStation Subscriptions] on PS4 or see “How to Cancel” below. Enrolling in service turns on your PSN wallet’s automatic funding setting. Price may change. No refunds. 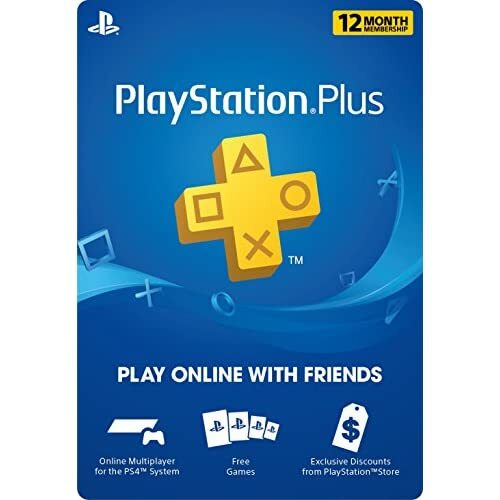 To enroll in this service, you need a credit, debit card or other valid payment method, and a free account with PlayStation Network. To play PlayStation games, you need a PlayStation compatible system (e.g., PS4), including a compatible controller. When you enroll in this service, the automatic wallet funding setting in your PSN account will be turned ON to fund all purchases using the default payment method associated with your account, if any. This means that if your wallet does not have enough funds to cover any subscription charge, the system will charge the default payment method associated with your account, if any. For details, refer to the PlayStation Network Terms of Service and User Agreement. HOW TO CANCEL: Canceling your subscription from a PS4 System: Sign in to PlayStation Network, then go to [Settings] > [Account Management] > [Account Information] > [PlayStation Subscriptions]. After selecting the subscription you want to cancel, select [Turn Off Auto-Renew]. Canceling your subscription from a Computer: Visit the link below, sign in to PlayStation Network, and then go to the Media section. After selecting the subscription you want to cancel, cancel the automatic subscription renewal. https://account.sonyentertainmentnetwork.com Canceling by contacting Consumer Support: Call Consumer Support at 877-971-7669.